Got pets? Read my tips on how to have a clean house with pets. Less than 24 hours after bringing our dog Sushi home, I broke down in a fit of uncontrollable sobs! I feared this adorable little creature would wreak havoc on my house. Almost four years later, I couldn’t imagine life without her. 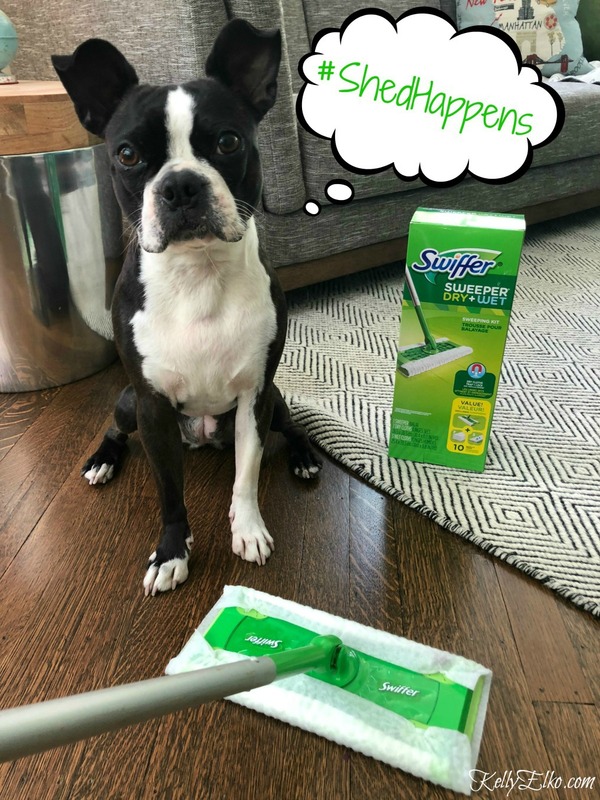 Did you know that May is National Pet Adoption Month and I’m thrilled to be teaming up with Swiffer to celebrate and let everyone know that fearing pet messes should never hinder anyone from adopting a furry friend. 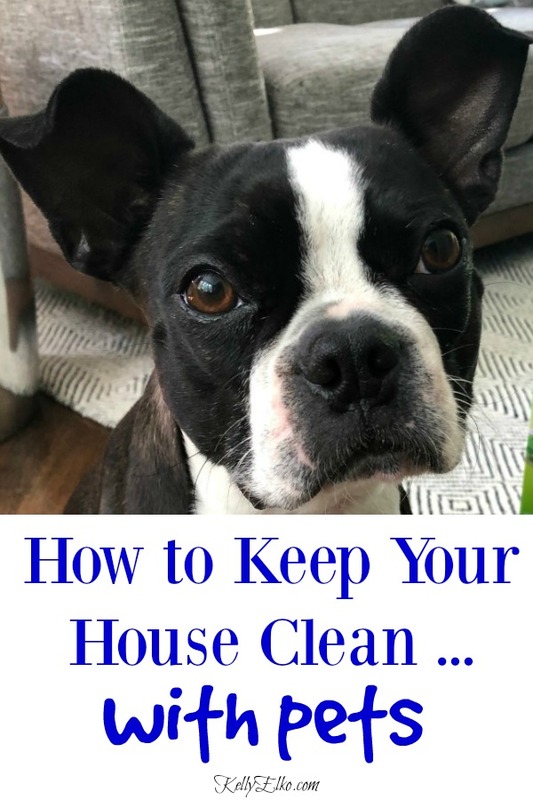 To combat the messes and smells that come with the territory of having pets, I’m sharing my tips for keeping the house smelling and looking great because we all know that dogs are pretty messy beasts and that shed happens. Let’s face it – dog’s stink! We can’t bathe them every time they stink and I don’t recommend bathing dogs more than once a month (it dries out their skin) but sometimes dogs need a little freshening up. Baking soda makes a perfect “dry shampoo” – just sprinkle some on your dog’s coat, brush it out and smile because your dog no longer stinks! Keep a container of pet wipes (make sure you use ones specifically made for pets) by the door and wipe down your dog’s coat if she gets really dirty. Wipes are also great for getting pollen out of dogs fur. Even short haired dogs like mine benefit from brushing. Brush daily – outside – to remove excess fur and keep shedding to a minimum. My number one tip that will save you tons of clean up time is cleaning your dogs paws. I keep an old towel by the door so I can clean muddy paws before they enter the house. Protect furniture from dirt, shedding and scratches with throw blankets. Stash extras in a pretty basket so you can rotate them from sofa to washing machine and back. 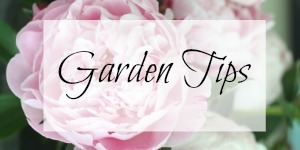 Don a pair of rubber cleaning gloves, run them under the faucet to dampen them (not sopping wet) and run your hands over your sofas, chairs and rugs then watch the hairs magically stick to the gloves. You can do this on rugs too! 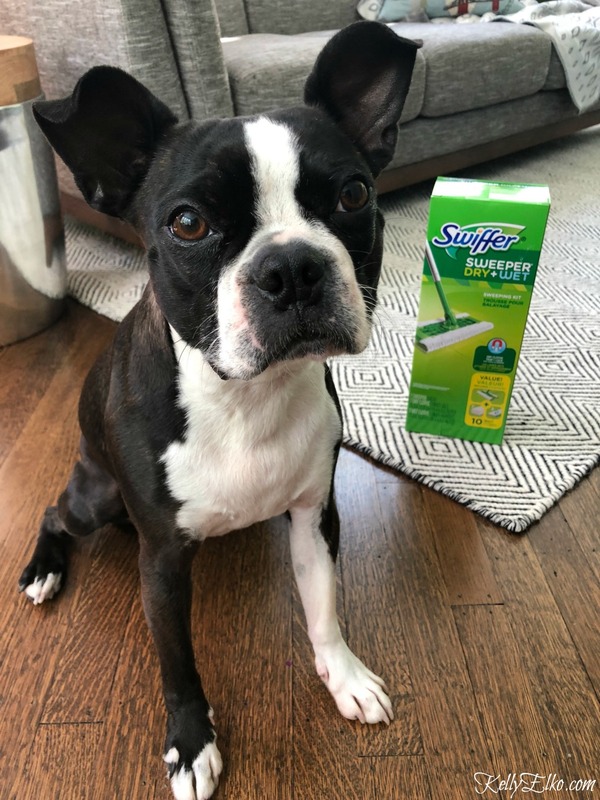 Every day, I use my Swiffer Sweeper on my hardwood floors and I’m always amazed at the amount of dog hair mixed in with the dust bunnies! I love the deep ridges on the Swiffer dry cloths because they really trap and lock in dirt, dust and hair. If things get really messy, I use a Swiffer wet cloth (wet and dry are interchangeable on the same mop). Spending just a few minutes a day doing this makes a huge difference. Try to vacuum every day using a quality vacuum with a HEPA filter which eliminates fine particles of dust. Forget comforters, duvet covers are your friend since they can be easily washed. Wash your dogs bed once a week in the hottest water the bed can handle (using baking soda or pet friendly detergent). I have two beds that I rotate. Keep your pets toys germ free by popping plastic toys in the dishwasher and soft toys in the washing machine. Collars pick up grime and germs so it’s important to clean them often. Soak them in a mixture of pet shampoo and water then scrub well and let air dry. Stainless steel bowls are best and are dishwasher safe (plastic bowls develop scratches over time which may trap bacteria). Keep a placemat under pet bowls to catch spills and wipe daily. #ShedHappens! You can have a clean house with pets and it’s definitely worth a little extra clean up time so don’t let the thought of shedding pets keep you from enjoying a furry friend. I know your pain. Thank you for all the great suggestions. I will implement ALL immediately. By the way, I have three dogs in my house. I’ve given up on having a comforter or duvet cover. 3 dogs – wow! Enjoy them Brenda! I’m so glad you and your dog found each other! Now if only we could train our dogs to clean!! Sushi could win an award for World’s Worst Breath! We love our dogs – stink and all! Becoming aware of the horrendous dog meat industry in Asia resulted in the rescue of 16 little dogs from S. Korea over a 3 year period. Cleaning up after one dog? I envy you!!! My battle is never ending and I’ve had to lower my expectations. My pups range from never having felt anything but a cage under their feet their whole lives, to experiencing a level of abuse I can’t describe here (their before rescue pictures, something that will never leave my mind), or worse, to actually having been a pet that was kidnapped or sold to a butcher. I jump for joy when they get the potty training right, live with twice daily washing of belly bands for some of my boys, invested in K-9 Ballistics dog beds (totally indestructible) and never walk through my house without sliding my foot along the edge of the walls & picking up dog hair. I have 3 layers of couch covers but there is always hair, even with my brushing them. And they did manage to peel back those 3 layers to find my new leather sofas – so tasty! Our vet and dog groomer have probably paid off their mortgages thanks to us. And thank heavens for the person who invented the peel off lint roller. I can add a tip – the Seresto dog collar, lasts months and I’ve never had a flea or tick in my house and we are surrounded by woods full of deer and my dogs love to play outside (we had Pet Playground come down from Connecticut to install this fabulous fencing that just disappears into the landscape but super safe because of the triple layers) I’m a full time stay at home doggy mom suffering from empty nest syndrome, our house has been done over to adapt to them – special deck, stairs, doors, floors and so on. I know mine is a special situation but I do love your tips and I did laugh (sort of in a mad scientist kind of way) when you said you broke down in tears over 1 dog coming into your home. And like you, I couldn’t imagine life without my babies. 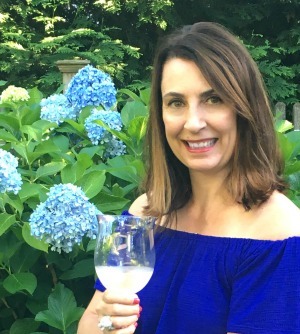 Wow Darlene – you are amazing! I can’t even imagine the abuse those poor dogs suffered and I’m so happy that you have devoted your life to taking care of them. Have a wonderful weekend and enjoy those pups. You just read my mind as to how desperately I needed help to control dog smells, and hair. There are many tips in this post I never would have thought to do, so, thank you-thank you. I will be putting these suggestions to use. That’s great Ivory! Have a wonderful weekend!